The Grammar Made Easy series is ideal for complete beginners as well as for those non-linguists who have some knowledge of the language but need to know the basics of grammar to progress beyond phrasebook level.The books consist of seven units that present basic grammar topics in an accessible and non-patronising manner. 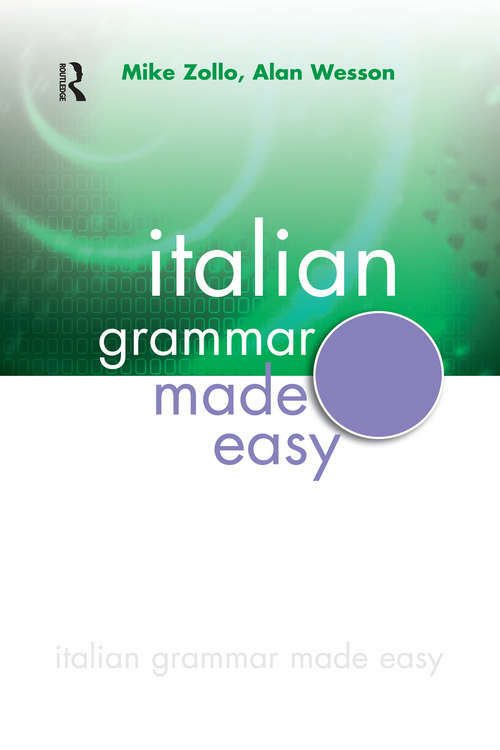 The interactive CD-ROM provides extensive interactive grammar practice, it contains around 220 activities (those included in the book plus extra ones) covering all the language in Italian Grammar Made Easy. Learners work at their own pace and move through the different sections with ease.Numerous grammar tips are at hand if needed. All the correct answers will be recorded so that learners can practise their listening and pronunciation skills.The CD-ROM can be used with the book or on its own as a revision tool.